Among the many interesting characters in Oregon’s Wild West days is that of Doc Hay, a Chinese store owner turned Doctor who bucked the prevailing trend of racism and became a respected member of the Community. I have had the continued unfortunate luck to visit John Day while the museum dedicated to this man and his business partner has been closed, so have never been able to see the inside to get an idea of what the store is really like. Numerous articles state that when the building was reopened after both men’s death, it was the largest collection of traditional Chinese Medicine in the United States. Located in the middle of Oregon, the town of John Day is not much by today’s standards. But in the late 1800’s it grew as a supply town to local gold miners and farmers as nearby Canyon City suffered repeated ruined via fire. By 1887 “Tigertown,” John Day’s China Town had an estimated 1000 Chinese residents, most of whom had come from Canyon City. 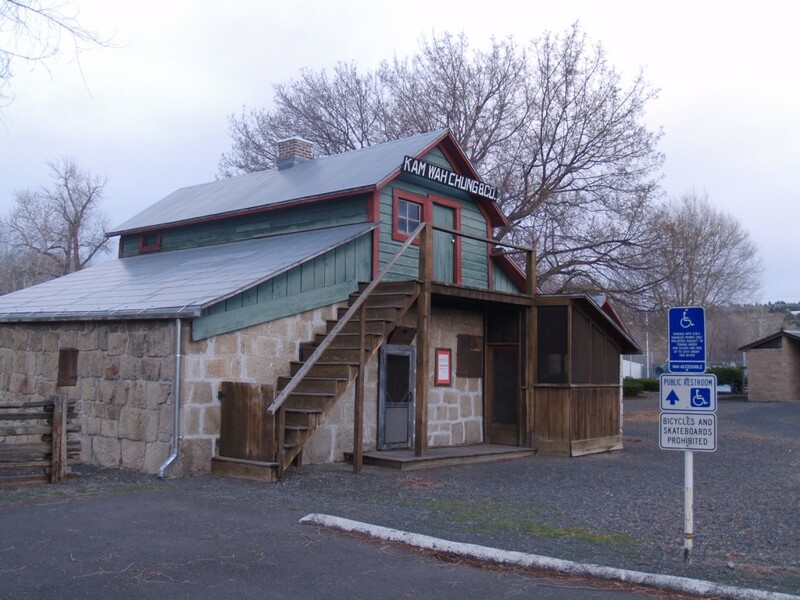 A trading post built in the 1860’s as a stop along The Dalles Military Road was purchased by Ing (Doc) Hay and business partner, Lung On in 1887. John Day already had a quite populous Chinatown called Tiger Town with an estimated population of about 1000 Chinese. Ing Hay and Lung On converted the Trading Post into a general store and quickly became the center of the China Town as a Community Center. In addition to selling goods, Ing Hay practiced pulsology, a Chinese method of diagnosis and treatment based on observation and feeling of the pulse in different parts of the body. By 1910, much of Doc Hay’s business had shifted away from Chinese people – most of whom had relocated because of racial tensions and the playing out of the gold mines. As a doctor he was confidential, and more importantly, he was very effective. His reputation grew so much that other Chinese Herbalists would consult with him, and his patients would travel from as far as Alaska and Oklahoma. Despite his success, there is some tragedy. While he remained in contact with his family back in China, and was involved in Chinese politics, he never saw his daughter again. I’m not able to uncover if his wife and son made it to Oregon. But I believe it is possible as his nephew, Bob Wah took over as apprentice to Ing in 1940 with Lung On died. The clinic remained opened until 1948, until Ing’s health no longer allowed him to work. Ing moved to a nursing home in Portland, and then died in 1952. He is buried in John Day. 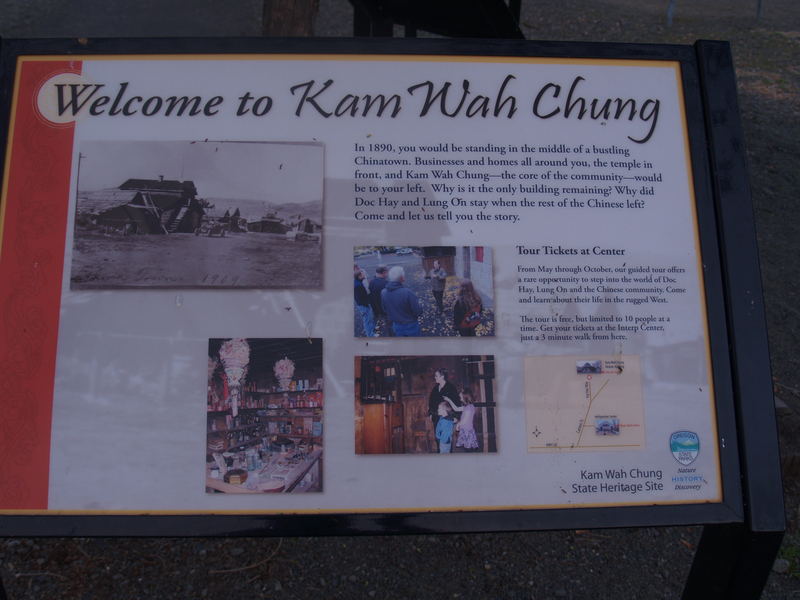 The Kam Wah Chung building was deeded to the City per Ing’s wishes in 1955, but nothing was done with it until 1972, when the city discovered it owned the deed to the building and land while looking to site a new city park. They quickly fixed up the building and opened it as a museum. I’m not sure of the exact date, but by 2005 the park had passed into the State’s possession and been cataloged as an Oregon State Heritage Site. The state spent $1.5 million dollars to restore, repair and preserve the building and it’s collection with the work being finished in 2007. Two great audio files exist, adding much more to the story of Doc Hay.